Last week many of you may have been surprised to get alerts about posts on Monday night that clearly belonged elsewhere. That is because instead of going to bed when I was sick, I tried working on my blog posts for January. Let this be a lesson to you. GO TO BED WHEN YOU ARE SICK. I’d make that a resolution, but since I’m sick now and working on my blog, I think it’s clear that the whole resolution thing is just not going to happen over here. You can find more at Neil Gaiman’s Journal. For my writer friends, be sure to check out a wonderful post, “2015 Resolution for Writers: Be Big, and then be Small”, by Chuck Wendig from his blog, Terrible Minds. It’s so good. I hope you are all enjoying 2015 so far and that your year is full of great things! 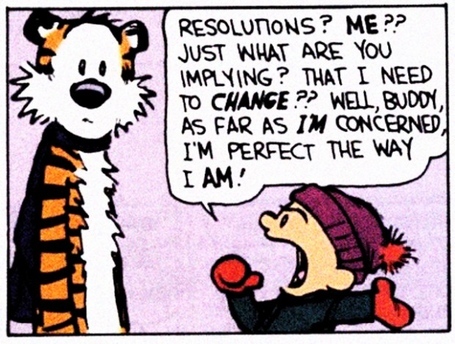 This entry was posted in Blog News and tagged Chuck Wendig, Neil Gaiman, New Year's Resolutions.